Our team is made up of five teachers, for four base subjects. 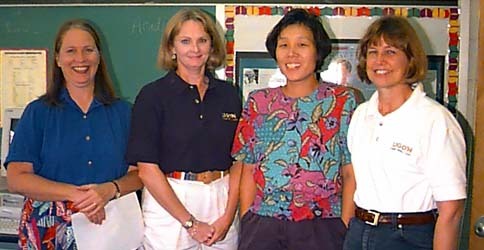 Mrs. Mackie, Mrs. Li, Mrs. Chell, and Mrs. Owens teach the core subjects, and Mrs Mickens helps out with computers. To find the Chell Team homework, click here. Check out the Ligon Web Site here. NEW!! !Check out Mrs. Mackie's shield web site with lots of pictures!!! Need an example of a battle card? Click here to see an outline!!! If you have any questions or comments, e-mail Evan H..